It promises to be the big-ticket diplomatic meeting of the year for Prime Minister Narendra Modi. 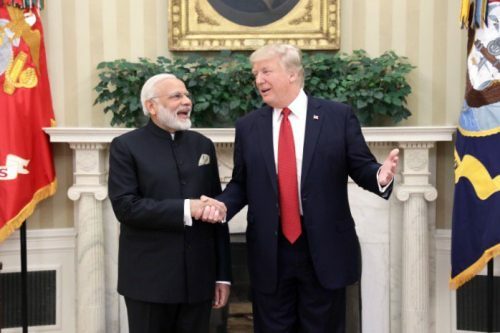 The dates are not out yet, but the White House has already struck an upbeat note, saying US President Donald Trump looks forward to hosting the Indian leader. 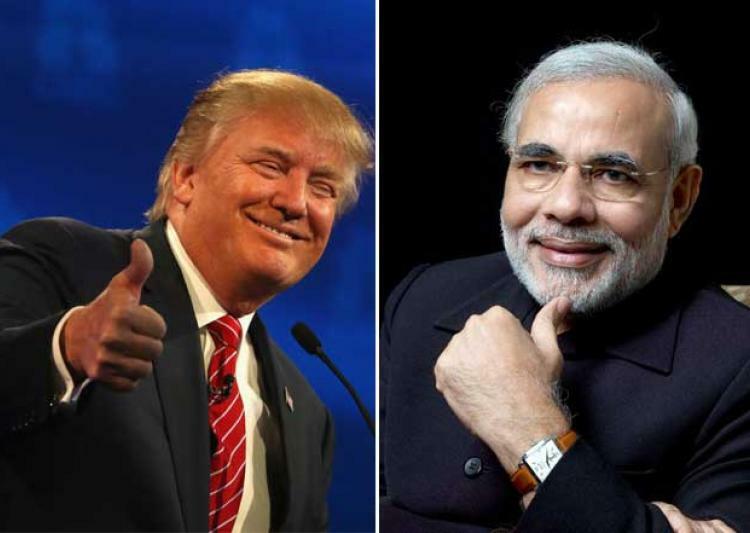 “President Trump has said he looks forward to hosting Prime Minister Modi in Washington later this year,” a White House statement said on March 29, following a telephonic conversation initiated by Mr Trump the day before to congratulate Mr Modi on the Bharatiya Janata Party’s sweeping victory in elections to legislatures in four Indian states, including the country’s most populous state, Uttar Pradesh. “President Trump also expressed support for the Prime Minister’s economic reform agenda and emphasized his great respect for the people of India,” said the statement. Although Mr Modi and Mr Trump may have a brief meeting on the sidelines of the G20 summit of the world’s major and emerging economies in Germany in July this year, it will be the Indian prime minister’s first bilateral visit to the US after the change of guard in Washington in January this year. It was the last meeting between India’s Prime Minister Narendra Modi and US President Barack Obama, but it looks like they will be seeing more of each other even after the American leader demits office. “It was a very warm and friendly meeting on the sidelines of the East Asia Summit. Both leaders reviewed the immediate priorities in the strategic partnership,” said sources after their meeting in Vientiane on September 8. It’s not clear what was discussed about the US’ plan to fast-track India’s membership of the Nuclear Suppliers Group, for which the US support will always be crucial. There was, however, a cryptic hint that President Obama will do all he can and help in any way he can. “President Obama said that he has always been a friend of India and will continue to be a “strong partner of India and help in any way I can,”’ Said sources. Reading between the lines, those in the know can expect that Mr Obama will do his best to advance India’s NSG membership, but going by current geopolitical complications and conflicted India-China relationship, New Delhi may have to wait a while before it enters the nuclear club as a member. From joint op-eds to ‘Chalein Saath Saath,’ the intricate symphony of the multi-hued India-US relations will add new notes in the joint radio address by India’s Prime Minister Narendra Modi and US President Barack Obama. On the last day of his three-day visit to India, President Obama will join Mr Modi in the latter’s monthly radio oration entitled “Mann Ki Baat,” on state-run All India Radio January 27. The joint radio address with a visiting foreign leader is a first-ever such exercise and a communication coup of sorts – it underlines the new Indian prime minister’s grasp of the intermeshing of diplomacy and media in an image-driven world. Both Modi and Obama are consummate orators, and have used diverse media tools to communicate with the classes and masses. Since taking charge of the world’s most populous democracy, Modi has hosted three monthly radio shows that began in October, talking on a range of issues, including his vision of India and the growing drug addiction among the Indian youth. Obama, on his part, makes a weekly radio address from the White House. In the US, the presidents have used radio to inform, inspire and preach. While India and the US might achieve breakthroughs in the economic realm, the story of geopolitics seems to be more challenging. 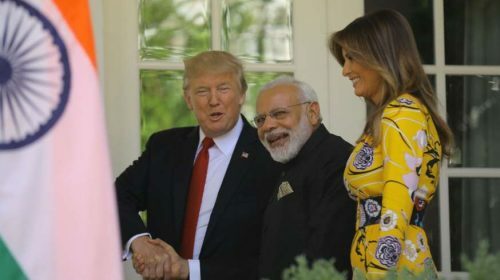 The most important aspect of the relationship is the American recognition that India’s success and transformation towards a more prosperous society is in America’s interest, and India’s emergence as a major and prosperous power requires a closer relationship with the US both in the security and economic realms. As Senator McCain states, “Ultimately, this strategic partnership is about India and the US placing a long-term bet on one another – a bet that each of us should be confident can offer a big return.” The countries might have divergent perspectives, but their visions and commitment to a liberal international world order, and a rising Asia that is stable with no single power exercising disproportionate influence, do not conflict. This should be the dominant idea taking the relationship forward, as it did during the civil nuclear agreement, after which this central story line got blurred. Billions of dollars in Foreign Direct Investment (FDI) have been assured to India thanks to Prime Minister Modi’s successful foreign tours and the visit of Chinese President Xi Jinping. Hopefully countries with more wealth and technology than us will help us create jobs. But in his efforts at gathering FDI, the Prime Minister is not any different from the previous government which also staged many road shows with union and state ministers, politicians and even the prime minister going abroad to woo foreign investors. Everyone knows the advantages of FDI, but there are disadvantages also. One has to remember that FDI in the past has been capital intensive and not labour intensive. Foreign companies tend to use more technology to retain their competitiveness and flexibility than go for hiring more workers. Most are afraid of encountering labour problems. Millions of jobs, however, are needed in India and therefore there has to be a policy of encouraging labour intensive FDI. In mining industry, there is a danger of FDI harming the environment in their extractive manoeuvers. Hence India has to study carefully what kind of FDI it wants.